​"I grew up in a Christian home and made the decision of faith when I was little. However, I would describe my relationship with the Lord as loyal. After high school, I soon found out that loyalty to God was not enough, and only when love is abounding can I really grow in my faith. I have seen my spiritual life grow as I made a decision to devote myself to the reading of scripture. The most exciting part of my job is to teach my students how to read their Bibles for themselves." ​I rely on God to direct me in all that I do. I believe that God has called me to Grace in order to utilize educational and athletic opportunities to teach young people the importance of utilizing their gifts and abilities for the glorification of God. I believe that God will utilize the abilities he has given me to help young people understand the importance of being good stewards of everything that God has entrusted them with. 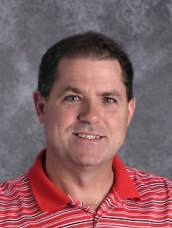 Mr. Berg began teaching at GCA in 2005 and began his teaching career in 1998. He has a Bachelor of Science in Elementary Education from Calvary Bible College and a pending Masters of Education from Baptist Bible College. 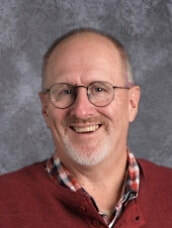 He'll be teaching middle school math and Bible classes, and he's ACSI certified. Mr. Berg realized Jesus died on the cross for the forgiveness of his sins when he was young. Since then, he shares that his faith has grown to the point where he sincerely believes that God will make his paths straight. 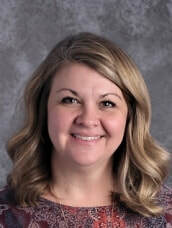 Mr. Berg's better half is Tanya Berg. They have three children: Levi, Anna, and Isaac. He enjoys reading, gardening, and sports. 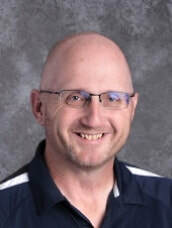 Pastor Ascher has a long relationship with Grace Christian Academy. He began his career as a teacher at Grace then after pastoring a couple of churches returned to Grace Baptist Church as an associate pastor. 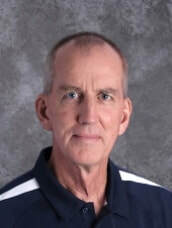 Pastor Ascher was the principal of Grace Baptist Academy from 2002 to 2007. In 2007, he became the senior pastor of Grace Baptist Church. Pastor Ascher still enjoys teaching the 12th grade Bible class, which is an intense course in apologetics. He also has spiritual oversight of GCA. Pastor Chad Dalton is the Associate Pastor of Family and Outreach. Chad and his wife Stephanie (Sherman) are originally from Kankakee. They have four children, Riley, Megan, Natalie and Jackson. They are eager about the opportunity to minister to their home community once again. Pastor Dalton attended Tennessee Temple University where he graduated with a Bachelor of Science Degree in Pastoral Studies. He also graduated with a Master of Arts Degree in Israel Studies after studying in Israel for a year with Baptists for Israel. He is one course shy of a Master of Ministry from Baptist Bible Seminary in Clarks Summit, PA. Pastor Dalton has served as an Associate Pastor of Student Ministries and Outreach at Northfield Baptist Church in Ohio for ten years. She gave her heart to the Lord in October 2002 at Grace Baptist Church. She said that she walks in God's grace and continues to grow daily in her faith. Pam accepted Jesus as her Savior at an early age, and she rededicated her life to Christ in her senior year of high school. Each day, she wants to learn how to walk closer with our Lord and Savior. 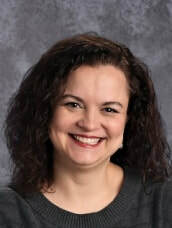 Mrs. Wymore believes that the purpose of a Christian school is to teach and train young people who can reason and relate all issues of life to the doctrinal foundation of the Christian faith. True learning begins with facts about God and ends with an increased knowledge of God that produces Godliness. Mrs. Wymore and her husband, Larry, have three children; each of whom have graduated from the Academy. Their daughter, Carmen, has graduated from college, is married and working as a nurse. Their daughter, Hollie, has graduated from college, is married, and teaching/coaching at GCA. Their son, Warren, traveled with a ministry team and will be attending college. 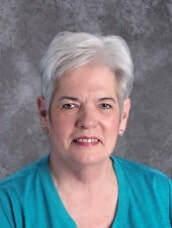 Pam enjoys time with family and friends, doing just about anything outdoors, and playing sports. M.A. in Elementary Education from Olivet Nazarene University. ACSI certified twice been listed among the "Who's Who Among America's Teachers." 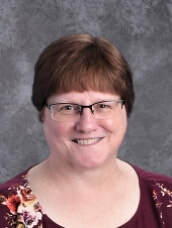 She has also been named the Association of Christian School's International "Teacher of the Year" FOUR TIMES! ​God led me to Grace when I didn’t know the next step to take! He opened all the doors and paved the way for me to be here teaching the grade I loved teaching. Hod is so loving and so awesome! "I am a P.K. (Preacher’s Kid) so I attended church and Sunday school regularly all of my life, but it ...was not until I was a young adult that I began to have a personal relationship with Jesus. My faith has deepened and matured over the years as the Lord continues to mold me into the person He wants me to be. Through times of trial and loss in my life, I have learned that the Lord is my strength and His Grace is sufficient. After many summers volunteering as a church camp counselor and helping with VBS at my church as a teenager and young adult, I felt the Lord calling me to teach children about God. Teaching at Grace is so much more than a job: it is a ministry to which I am called and I am so thankful that I am able to serve the Lord in this way." Laurie-Anne's education philosophy: "God has given us the gift of learning. Because God has created all things, every subject we learn draws us closer to Him. The more we learn about His creation, the more we stand in awe of His majesty. I believe that true education cannot happen separate from God for all knowledge and truth comes from God. I believe that each child is a unique creation, formed by the hand of God for His purposes, and I am humbled to be called by God to teach the wonderful children that He has trusted in my care." She and her husband, Rob, have three children. The oldest two are GCA graduates and their youngest is attending GCA. Mrs. Wieringa enjoys gardening, photography (and sharing her photos with us! ), spending time outdoors along with various arts and crafts. She has been her church's Sunday school superintendent for nearly twenty years! Testimony: Born and raised in Overland Park, Kansas where I met and married my husband in 2016. He attended ONY while I was at MNU. After school, he got a job here in Illinois where I followed him. I was invited to apply by Hollie Erickson to work while I completed my Illinois Teaching License. Since then, the GCA students and God have called me back. Testimony: I grew up in church and accepted Jesus as my Savior at an early age. While in Jr. High, I accepted a call into ministry while at a youth convention. I knew that God wanted me to be a pastor's wife. After graduating high school, I attended Central Bible College in Springfield, MO. I met my husband, Randy, at Bible college. We were married in 1993. We were youth pastors in Oklahoma and Texas before coming to pastor at First Assembly of God in Limestone. We have three children, Matthew, Bethany and Jonathan. Matthew and Bethany are graduates of GCA and are now attending college at Oral Roberts University in Tulsa, Oklahoma. When not in the classroom or at church, I enjoy running, camping and shopping. The thing I enjoy the most about teaching is watching the students learn and apply it in their lives. Being at a Christian school has enabled me to connect learning to faith. It is neat to show that everything is connected to our Creator. Faith does not have a filter on it at GCA. Jesus is where I find my identity. Jesus is who I point my students to on a daily basis.​ After graduating with my teaching degree, I sent out several resumes. I didn’t hear much of a response due to a flooded market. I was praying about where God wanted me, asking Him to open doors. I was willing to substitute in schools if that was His will. Within days of praying for direction, I received a call from Grace. The door was opened for me to walk through. 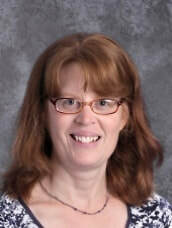 ​Jennifer first came to Grace in 6th grade and that is when she decided she wanted to be a teacher. From that point on God used the teachers at Grace to influence and guide her throughout junior high and high school. During college, Jennifer was unsure of where she wanted to teach but God made it clear to her that she was being called to a Christian school and more importantly to Grace. 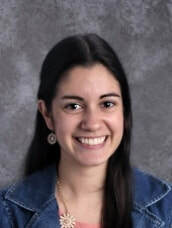 Jennifer loves being able to openly talk about her faith and share God's love with her students. She sees working at Grace as more than just a job, it is a calling and a ministry. Jennifer married her high school sweetheart in October of 2016 and is expecting their first child in October of 2017. She loves to read and spend time with family and friends. 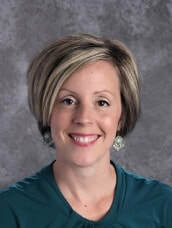 She is entering her 3rd year of teaching but has been actively involved at Grace for 14 years! ​Sonia accepted Christ into her life when she was 4 years old. Even though she has known Christ for most of her life, she notices that God reveals Himself to her in new and different ways. Most recently, she has seen God's faithfulness through His perfect timing. Sonia sees herself as a life-long learner and is excited to share this love for learning for each of her students. She enjoys reading and traveling, and is an avid tea drinker. Bachelor's and Master's of Music Education. 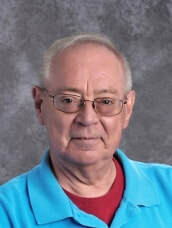 Mr. Betz recently retired from 32 years of public school teaching and was the band director in the Herscher School District for 16 years and then the band director at Bradley Central for the next 16 years. He has both Bachelor and Master of Music Education Degrees from VanderCook College of Music in Chicago. He accepted the Lord Jesus Christ as his personal savior shortly after meeting his wife and was baptized by Pastor Marvin here at Grace. Mr. Betz and his wife Julie Betz live in Aroma Park and have an adopted son Andre. 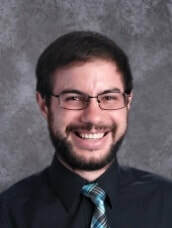 Mr. Betz is also an accomplished musician and plays in many area bands as well as the Kankakee Valley Symphony Orchestra. He says the key to his success is challenging the students, watch them meet the challenge and then challenging them again. If you always have high expectations, you’ll always be successful. Bachelor of Science in Secondary Education with an endorsement in Mathematics. ​It was about 18 days before the 2016 school year was due to begin at Grace, when on a Friday (when my husband should have been at work), my husband was looking online for openings for a math teacher at a Christian school. He stumbled upon the need at Grace and mentioned it to me. I had just graduated college and received my certificate 2 months prior (June, 2016) and didn’t even have a resume set up yet! We worked together on a resume and submitted it. Within half an hour, I got a call from Mr. Bull saying “I don’t mean to be pushy but school starts in 19 days and we have no math teacher!” Being a believer in Christ, I am not a believer in coincidence. God put my husband at home when he normally would not have been, searching online for a job for me at the exact instant Mr. Bull was looking for applicants. I believe I am meant to be here and felt it the second I entered the doors. I still feel that way, I am beyond blessed to call GCA my home. "I was saved when I was 8 years old during a release time Bible class at school. Growing up, I attended Northwest Baptist Church in Jackson, Michigan where I enjoyed AWANA, participating in the puppet ministry, and youth group." "I don't remember life before Jesus, because I've been involved in the church my whole life. It was routine to me; something that was natural and easy. I accepted that He was Savior at a very young age, but I don't believe I accepted Him as MY Savior until my freshman year of college. The 'my' before Savior is what changed my life forever. My heart aches for His love and plan for my life. My favorite part of teaching at a Christian school is that I can teach my students the importance of the 'my' that I hope will change everything for them as well." 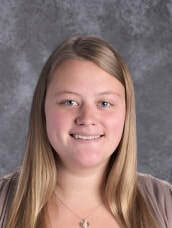 She enjoys any sport including running along with reading, writing, and spreading encouragement. "God created us for growth. I believe that education allows us that ability to grow and strengthen the interests and talents we are given, by launching us into the chasm of endless possibility. Christian education allows us to work toward a future that matters: eternity. Learning is growing. Learning is stretching. No struggle, no growth. Know struggle, know growth." ​"I received Christ as my personal Savior when I was six years old and it was here at Grace. Through my years as a student, the Lord worked in my heart to give my life in service to Him as a teacher. I am an alumnus of Grace and my kindergarten teacher has also taught kindergarten to my children." Kris is married to Alan, and their children, Allie and Zach, attend GCA. Her hobbies include spending time with family, reading, and playing outside. ACSI Certified in Physical Education for all grade levels. My wife and I served at a Christian school in Quito, Ecuador for several years. We are very happy we served there, but felt the Lord was leading us back to the United States. After much prayer and discussion, we felt God leading us to GCA. We have been very happy and blessed joining the Grace family. B.A. in Music with a vocal emphasis from Southern Nazarene University. I am thrilled to have the opportunity to be involved with GCA. I desire to have a strong effect on the students that come into this building and help them make wise decisions using tenacity and grit. I have personally seen this school pour into the lives of students. My wife, Jeanna, and both our children, Natalee and Raylee, attended Grace from pre-school through high school graduation. Amy was saved at a very young age. She was raised in a Christian home and attended Christian schools. She shared that she continues to grow, learn, and study more about God each day. She enjoys each day that God brings. 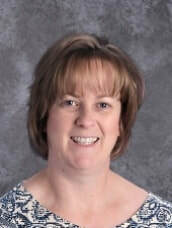 Mrs. DeYoung believes that each child needs to be educated with the love of God and treated as an individual. She and her husband, Larry, have three daughters: Grace, Hope, and Faith. She still enjoys sports, coaching her kids in their favorite sports, and hanging out with her family. In 1999, two weeks before school opened, I heard there was a teaching position available. I applied and was hired. I love teaching here at Grace and pray that the Lord allows me to stay here and minister. ​After getting married in 1996, Cyndi moved to Kankakee, Illinois. 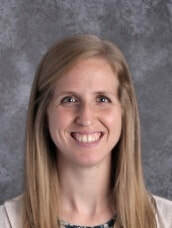 Her husband, Ben, is a GCA alum and attended K5-12th. 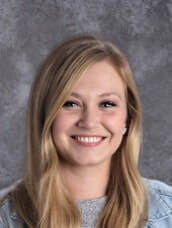 Though Cyndi didn't attend GCA, her alma mater competed against Grace as the schools were once in the same district but now her heart is at GCA! She has a Bachelor of Science degree in Broadcast Communications. I was a 'PK' (pastor's kid). so 'religion' was easy. It wasn't until I accepted Christ as my personal Savior at age 12 that I realized it wasn't about religion but a RELATIONSHIP. I'm thankful for growing up in a Christian home and for parents who understood the importance of Christian education."